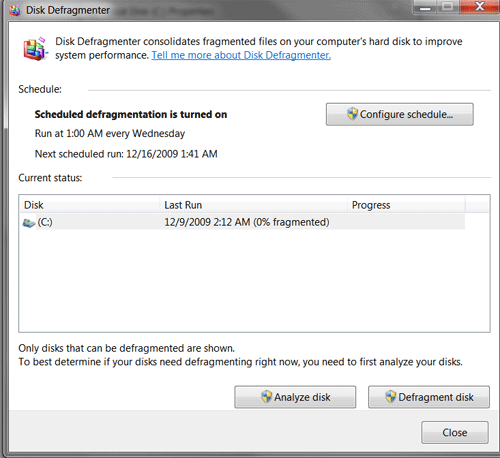 When it starts, it asks which drive, my main drive is C, then it goes to this screen. If you click the- show details button- it shows each cell. 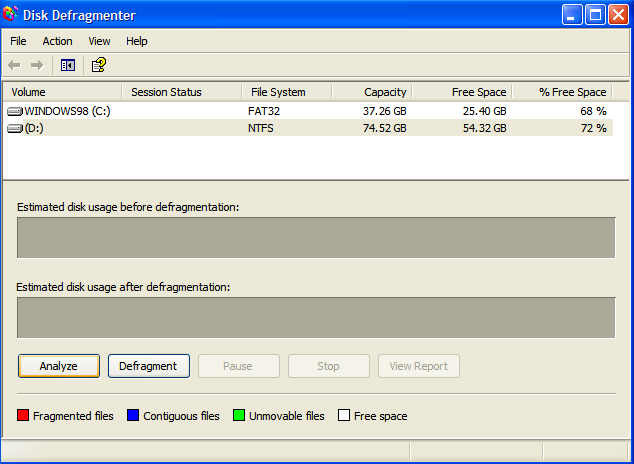 This is a screen shot of the XP Defragmenter. With this one you have the ability to Analyze the drives first then if you think you need it to go ahead and Defrag the drive. A lot better then previous versions. Works like XPs but you do not get the graphical interface.